Our uPVC bow and bay windows add a wonderful feeling of space to your home in Essex. What are Bow and Bay Windows? A bay window is an angular shaped window that extends out passed the exterior wall, that can be made with three or more window panels. Whereas, a bow window creates a more curved shape that also extends passed the exterior wall, and can be made with either four, five or six window panels. Bow and bay windows are great for increasing the space inside your home, ensuring more natural light is entering your home. With beautiful lines created by each, you can add a wealth of value to your home, making it easier to sell in the long run. We work with market leading suppliers to ensure you are getting the best products on the market. Our incredible bow and bay windows are created using outstanding casement windows from Eurocell. They make a stunning addition to any home, be it modern or period. Bay windows add memorable character and charm, creating a feature that will enhance your home, adding value and creating a feeling of additional space. Our double glazed bow and bay windows can transform any standard flat casement window into a gorgeous aperture, providing improved views and creating a light and bright home. Alongside creating more space inside your home, you will be provided with exceptional views of your surrounding areas. When you choose these windows, you will be able to enjoy a wider and brighter view of the outside, flooding your home in Essex with natural light. Increase the style and sophistication of your home in Romford and Essex with our range of incredible windows. Our bow and bay windows are designed to offer incredible aesthetics and charm to your home in Romford, with their sleek and stylish appearance. Transforming the look of your home is quick and easy with our variety of products. You can truly enhance your home in Essex by creating a fabulous feeling of height and space with this simply stunning window design. We utilise Eurocell’s best products to provide you with windows that have slim sightlines and larger window panels. Our sleek and streamlined bow and bay windows will increase natural light and enhance your view of the outside. Enjoy a stylish and contemporary aesthetic. Your spare time should be spent doing the things you love with the people you love. Our innovative joint couplings are designed to help prevent dust traps from forming, so your cleaning routine will be much simpler and more effective. If you’re looking to enhance the strength and security of your home, look no further! Our bow and bay windows are created using our superb casement windows, combined with intelligent and modern techniques to ensure they keep your Romford home safe. 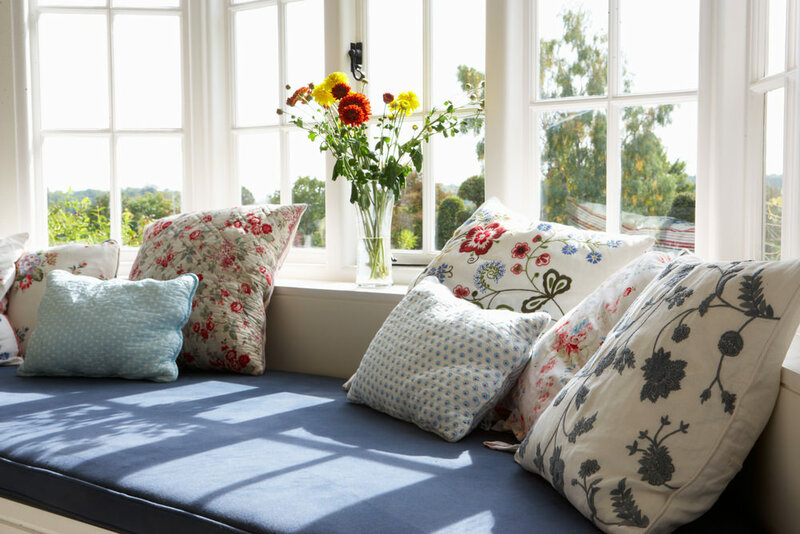 Your bow and bay windows will enhance your home by creating a feeling of spaciousness and brightness that will be an absolute joy. You can count on your property in Romford being warmer for longer with our energy efficient bow and bay windows, which are capable of achieving a Windows Energy Rating of A+. To ensure that your bow and bay windows meet your requirements, we can create either a 3 or 5 faceted design that will be the perfect match for your home. You can truly emulate the windows of the past with our incredible range of traditional decorative accessories, including sash horns, leaded glass, Georgian bars and astragal bars. Our uPVC bow and bay windows are available in a vast array of colours and quality woodgrain finishes to ensure you get the overall look that you desire. Our double glazed bow and bay windows are accredited by the Energy Savings Trust and the BRFC, so you can be confident in their exceptional quality. 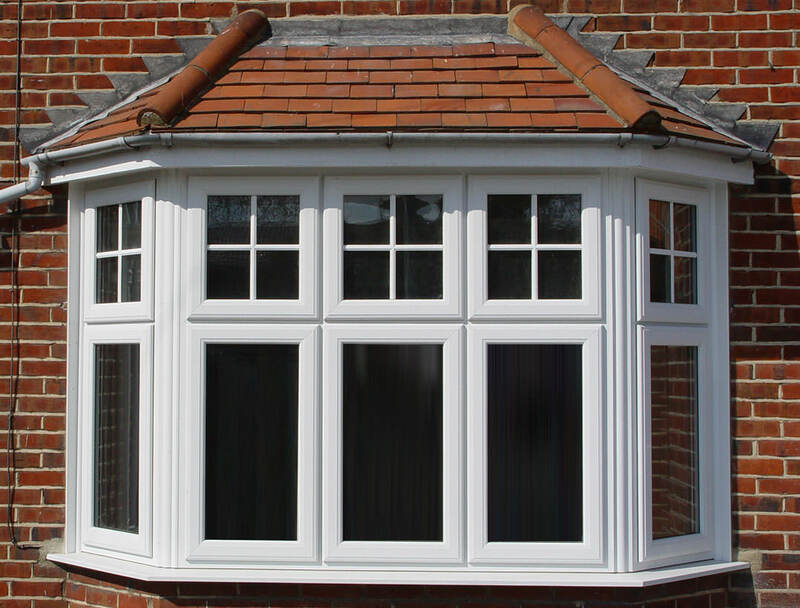 To find out more about our range of stunning bow and bay windows, get in touch with us today! We will be more than happy to help you find the ideal range of products for your next home improvement product. Call us on 01708 723131 and talk to our team today! They will be able to answer any questions you have about our range of stunning windows, giving you all the relevant information you need to make an informed decision. Alternatively, send us an email using our online contact form. This will go straight to our team of experts, who will be on hand to ensure you are getting the best product for your next home improvement project. Or, use our online quoting engine to get a free, no obligation quote. All you need to do is provide us with some information about your dream set of windows and we will give you a realistic, rough estimate of how much they will cost.